San Diego State University received a A.
U.S. News & World Report's ranking of 78 out of 117 of National Universities Top Public Rankings was a major contributor to this grade. San Diego State University's student population of 35,695 is among the most diverse in the nation. SDSU offers a vast array of programs - from the fine arts to engineering to vocational programs, you'll find virtually everything here. Students can catch a show at the school's open-air theatre, participate in over 300 clubs, or join the water-skiing, alpine skiing, or surfing teams. Describe the type of student who should not attend San Diego State University and explain why. Someone who does not want a large school with lots of opportunities. Also, someone who does not want large class sizes. Describe the type of student who should attend San Diego State University. Why? What is a typical San Diego State University student like? Describe the type of person that should attend San Diego State University. Comes from middle-class, a student who understand that educations comes first but still makes time to have fun and party. Extremely diverse in race, ethnicity, religion, and age. What are the top 3 reasons someone should attend San Diego State University? What was a typical San Diego State University student like in high school? Describe the type of person that should attend San Diego State University. 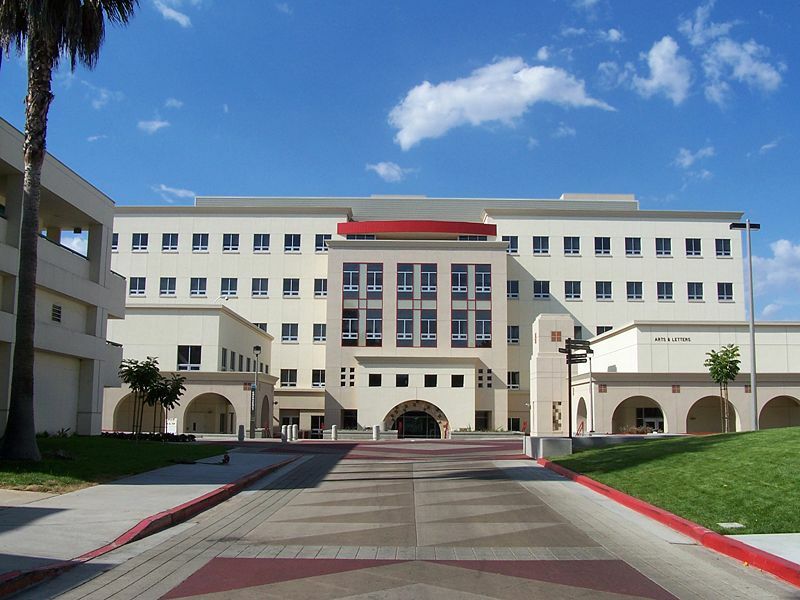 Since it was founded in 1897, San Diego State University has grown to offer bachelor's degrees in 84 areas, master's degrees in 76 areas and doctorates in 16 areas. SDSU's approximately 30,000 students participate in an academic curriculum distinguished by direct contact with faculty and an increasing international emphasis that prepares them for a global future. SDSU's annual economic impact to the state of California is $6.5 billion. Of SDSU's 200,000-plus alumni, approximately 60 percent live in San Diego. They comprise more than half the region's engineers, teachers, entrepreneurs and the local workforce for a host of other industries. What are the top 3 things that students do for fun at San Diego State University? Campus housing is available for undergraduates. Housing deposit : $800.00. Housing deposit due : May 1. Housing deposit is partially refunded if student does not enroll.. Freshman allowed to have car. No pets. 63% of freshman live on-campus. The average student pays $9,856 for tuition, fees, and other expenses, after grants and scholarships. 48% of students receive some form of financial aid. The typical (median) early career salary of San Diego State University graduates is $44,600, according to Payscale. San Diego State University participates in the NCAA Division I-A for college athletics. Want more info about San Diego State University? Get free advice from education experts and Noodle community members. About your majors, do you offer or possibly have any sort of fashion classes/majors at your university? It might make me want to come to your university because I am just a fashion sort of person. And I hope you preferably have a fashion stylist class like for if you want to be a personal stylist for someone like to pick out their clothes.